Where is For Your Eyes Only filmed? Spy thriller. 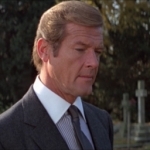 British agent James Bond is sent to recover a strategic communications device before it finds its way into the hands of the Russians. When the device that controls Britain's Polaris submarines goes missing, 007 is aided by a vengeful woman and a wealthy hero of the Greek resistance to find the equipment.